Whether you call them portables, demountables or relocatable classrooms, the temporary fix for expanding schools in times gone by has left a legacy of sad and sorry structures throughout Australia. Bearing little resemblance to the 21st century education settings we aspire to offer our children, the classrooms often fill parents with memories of freezing winters, boiling summers and weaving through cramped, monotone spaces. Indeed, many portables have been in schools for over twenty years – well beyond their life expectancy – and not only attract higher maintenance and running costs, but offer very little in the way of natural light and ventilation. In Victoria, where portables were only designed to temporarily and quickly provide additional classroom space, construction materials that were used were often cheap and ready-to-hand, often containing asbestos. This fact, coupled with a population of school children expected to grow by more than 269,000 by 2031, has led the State Government to create the Permanent Modular School Buildings Program . Initially, the program was conceived to deploy new learning environments in more than 100 school projects, however, with advancements in prefabricated construction techniques the projects has become more ambitious. Through the benefits of prefabrication (e.g., additional upfront design hours, more engineering, less time and less cost), the State Government and participating schools are realising the even grander goal of developing a new breed of smart buildings. These buildings draw heavily upon modern learning theory that recognise different learning goals require different approaches, and that classrooms need to be capable of evolving and adapting as educational practices evolve. Often called Innovative Learning Environments (ILEs), these spaces support the premise that teaching and learning is collaborative, reflections and inquiries are shared, and teachers are currently and continuously in the midst of discovering how to deliver educational goals for the future. 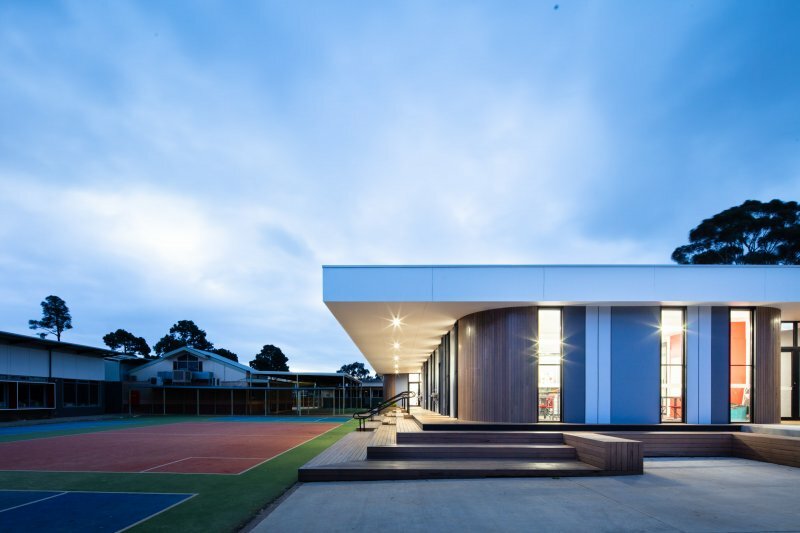 To participate in this educational context, Keilor Primary School and Footscray West Primary School worked with Sensum and Modscape to realise their vision of innovative modern design and open high-quality spaces. Their overarching goal was the integration of teaching spaces, a library, an arts space, as well as associated amenities for students and staff, while their brief was to deliver an environment of lasting aesthetic value. The permanent modular buildings derives its design flair and sense of solidity from a structure built on a steel framework. Externally, curved timber walls act as a wayfinding device, signalling the entrances and are coupled with large floor-to-ceiling windows that add a contemporary sense of light, space and utility. 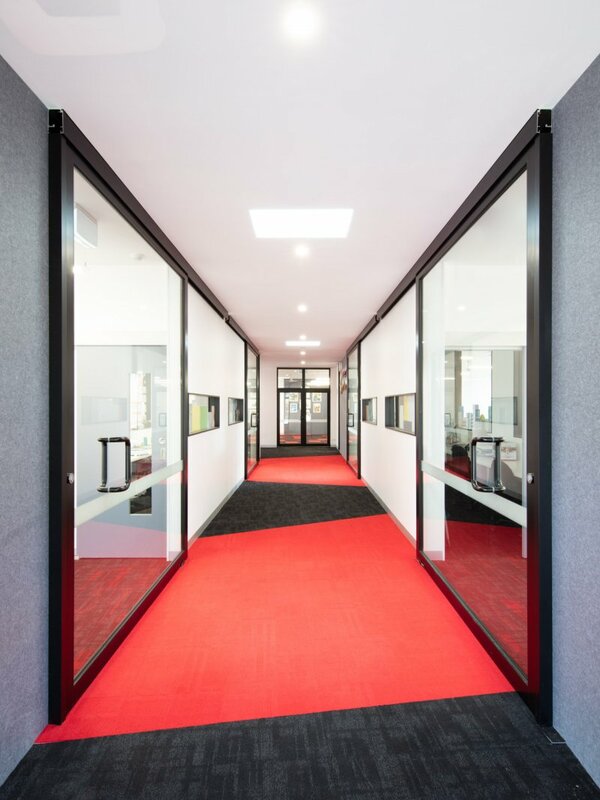 Internally, a bold material palette enhances the design’s vibrancy and encourages creativity, while high-performing acoustic paneling and double-glazed windows create a comfortable learning environment for students. 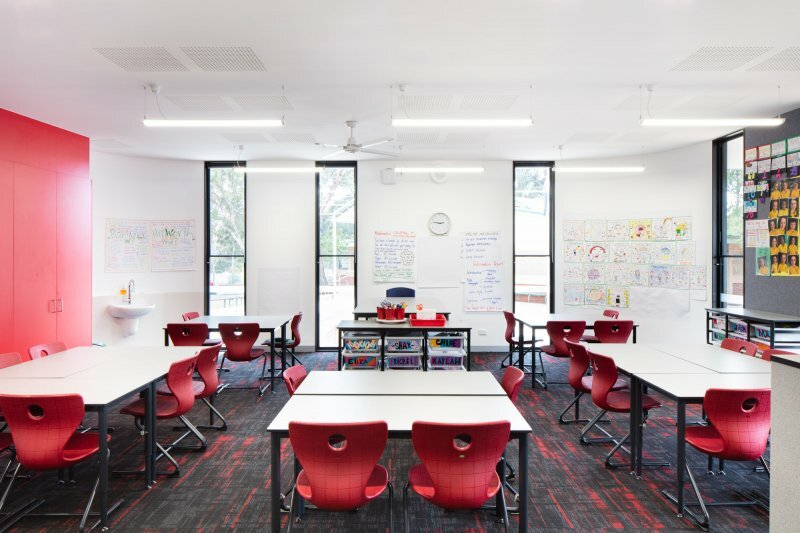 With curved walls to break up internal hallways and large glass doors that can be easily slid open, the interiors have become spaces that students actively want to be in because of their comfort, amenity and flexibility. And from a technological perspective, fully integrated data and audio-visual services, means that current and future technological needs of students will not only be met, but exceeded, for many years to come. 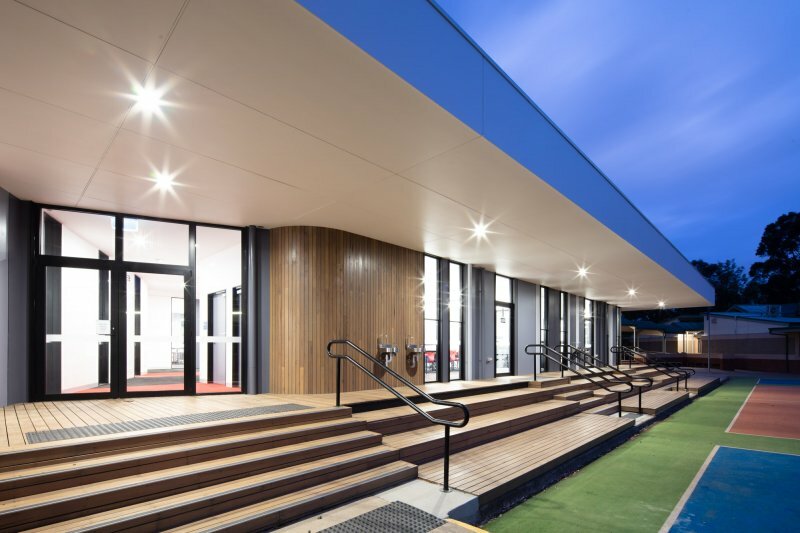 In addition to the stunning result, modular construction is now seen as the best fit for school environments that must constantly consider the health and safety of their students. 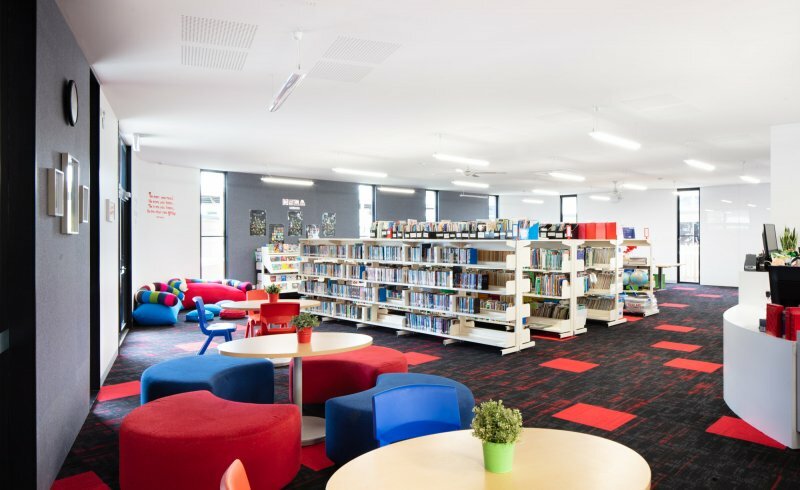 Traditionally, when classrooms were built on school grounds, the excess noise, waste materials and air pollutants would disrupt the students’ learning experience. In addition, on-site construction that can last from between 6 – 12 months, introduces safety concerns around the delivery and storage of building materials and site construction activities. 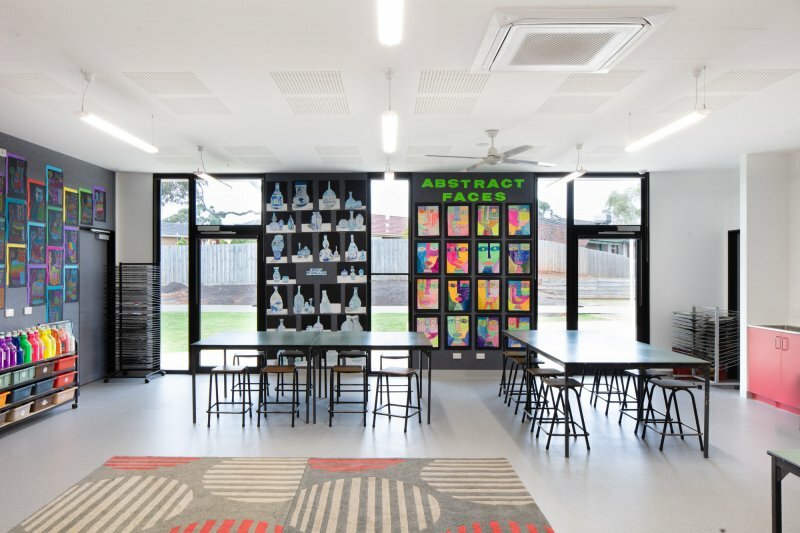 Instead, by completing 95% of the construction offsite, the new facilities at Keilor and Footscray West Primary were complete in just 10 weeks – the lean manufacturing occurring off-site at Modscape’s modular construction hub in Brooklyn, and the installations taking only one day over a weekend. For many students who left on the Friday and returned on the Monday, the building seemed to appear as if by magic. The longest and most noticeable part of the process, for students at least, being the onsite landscaping completed soon after! Modscape has constructed several prefabricated education facilities and modular classrooms for universities and schools across the country. As experts in the field, we’re well versed at working alongside education providers to meet the myriad of needs. Modscape frequently works alongside external architects and specialist consultants with clear communication and an approach of transparency and openness to create a collaborative culture that strives for the best results. Please contact us to discuss your next project in more detail.